Did you know one in six lesbian, gay and bi-sexual people have experienced a homophobic or biphobic hate crime or incident over the last three years or that more than half (55 per cent) of lesbian, gay and bisexual pupils have experienced direct bullying? 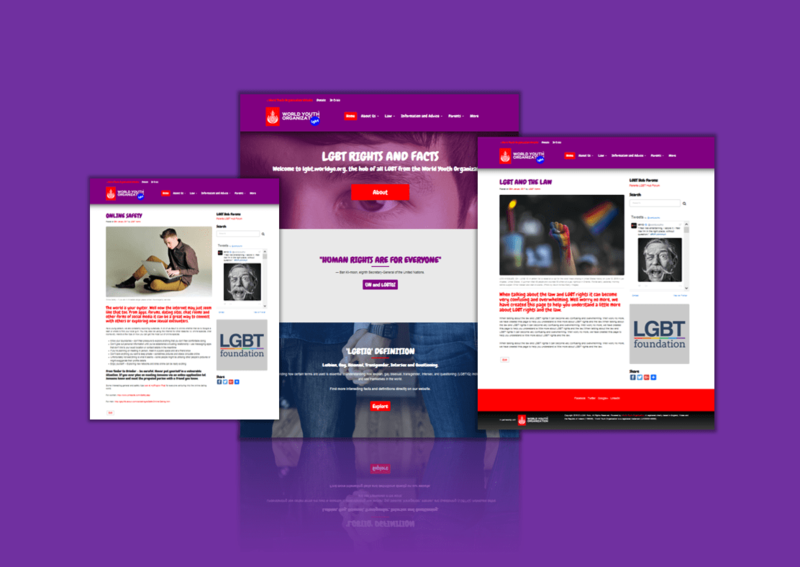 The LGBT Hub is a World Youth Organization project which aims to bring about education on LGBT matters including new legislation, coming out support and so much more. The website which plans to launch in early February 2017 will also host numerous forums including the LGBT Hub Parents Forum, giving parents the opportunity to ask questions and exchange in conversation. We want to hear from you! What do you feel strongly about around LGBT? Anything in particular you would like us to cover? Please get in touch by emailing [email protected].